After medical school at the Universidad Complutense, Dr. Fernando Gómez Sancha specialised as a Urological Surgeon at the Hospital Universitario de La Princesa in Madrid. He subspecialised in reconstructive urology at the Institute of Urology in London with Prof. A. R. Mundy. He was co-Founder of the Instituto de Cirugía Urológica Avanzada(ICUA) in Madrid and a pioneer in Greenlight photoselective vaporisation of the prostate (PVP) for Benign prostatic Hyperplasia (BPH) and cryosurgical ablation and HIFU for prostate cancer in Spain. 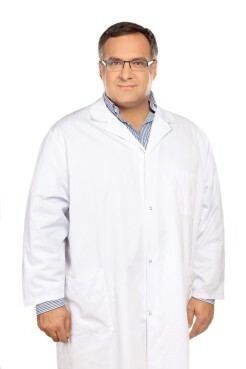 Fernando Gómez Sancha is the Head of the Department of Urology and Robotic Surgery at ICUA – Clinica CEMTRO in Madrid, Spain, where he specializes in laser prostatectomy with GreenLight and Holmium lasers and radical prostatectomy, He also works at the Hill Clinic (Sofia, Bulgaria), where he performs laser prostatectomy. He was an early adopter of the GreenLight laser, and has trained surgeons to use it in hundreds of hospitals around the world. 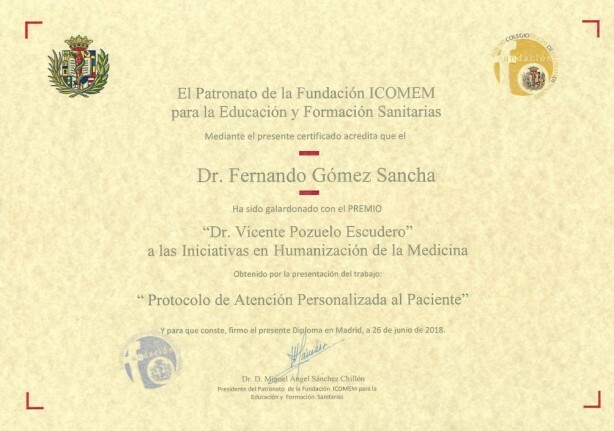 In 2018, Dr. Sancha was awarded for his work PERSONALIZED CARE PROTOCOL FOR THE PATIENT.